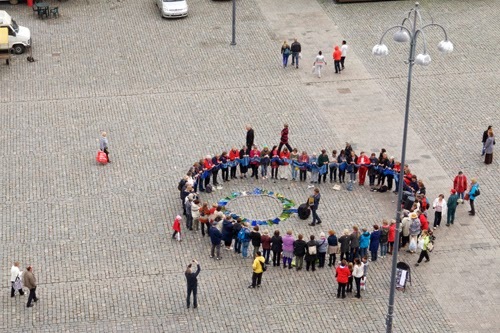 UPLIFT II starts at the town square in Vaasa, Finland on Saturday, September 21. 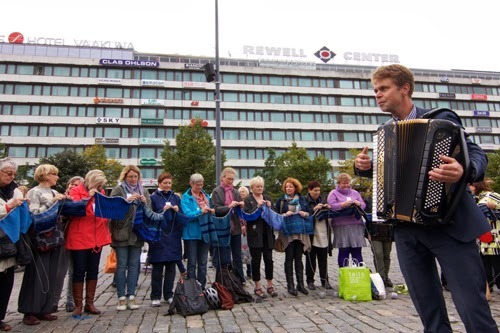 64 participants created their own blue knitting, a story of the sea. The parts are put together with gray, domestic yarn. The Finnish part of the UPLIFT project starts to the tunes of a Finnish tango. Accordion player Bo Lund. When do you "Own your own time" ?